Blue Islands boss Derek Coates is to answer questions on the proposed Aurigny takeover at Alderney's Island Hall next week. The open meeting will start at 7pm on Monday (July 26). Alderney's politicians and business leaders have expressed concern over the potential deal, which would leave the island with just one airline. 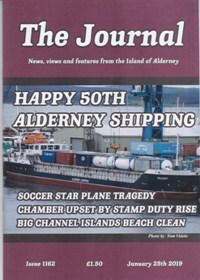 The Chamber of Commerce is worried Blue Islands would cut Alderney's direct link to the UK, while there are also concerns over potential job losses. Mr Coates has said there is "no chance" of the island's service to Southampton being cut. He did, however, say job losses were inevitable should the deal get the green light from Guernsey States members.